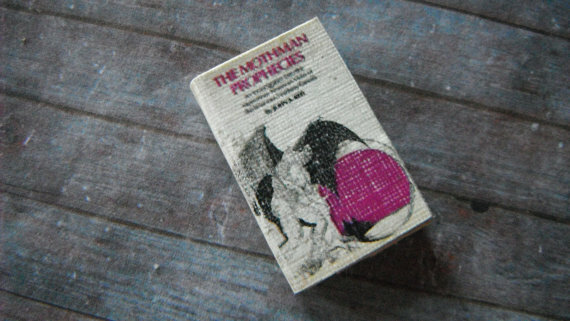 During this Halloween week, I thought it’d be fitting to introduce you to my favorite creepy/scary book: the Mothman Prophecies by John A. Keel. John Keel was an American author and journalist who investigated strange events around the world. He was a real mix of Tintin and Indiana Jones, going as far at Tibet to look for the Abominable Snowman, India and Egypt where he almost died at the hands of fake mummy makers. In November 1966, when he heard of the strange sightings occurring in a small town in West Virginia, he couldn’t not go. Point Pleasant is located on the River Ohio and on the border of the state by the same name. There were nothing special in that place, other than a huge bridge crossing the river and a deserted zone called the “TNT area” where explosives were stored in dome shaped bunkers during WWII. The place had become popular with teenagers. Mid November, strange reports started pouring in from that small quiet place. 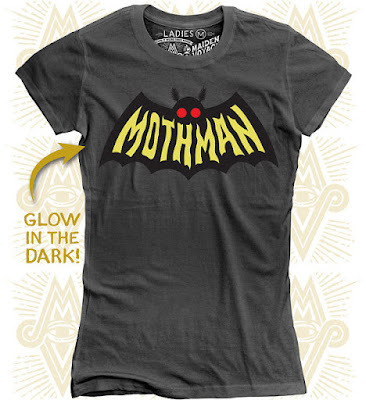 People had strange frightening encounters with a dark tall creature that had huge moth like wings and glowing red eyes. Encounters that usually left the witnesses scared out of their wits and with strange sunburn marks. 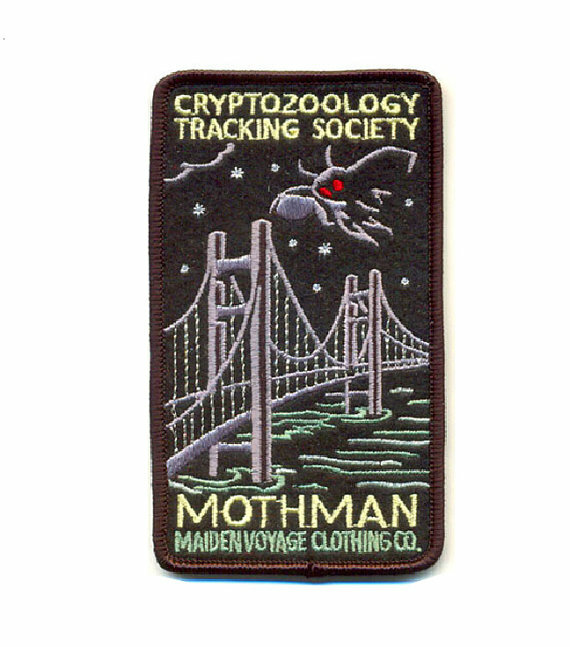 During the course of the following months other strange occurrences were reported, lights in the sky, poltergeists, pet disappearances, mysterious phone calls and numerous visits by the Men in Black. Now Men in Black are part of our folklore, thanks to Will Smith, but back in the 50’s and 60’s, Men in Black were strange beings , often showing non-human characteristics, who enjoyed harassing UFO (and other supernatural phenomena ) witnesses. 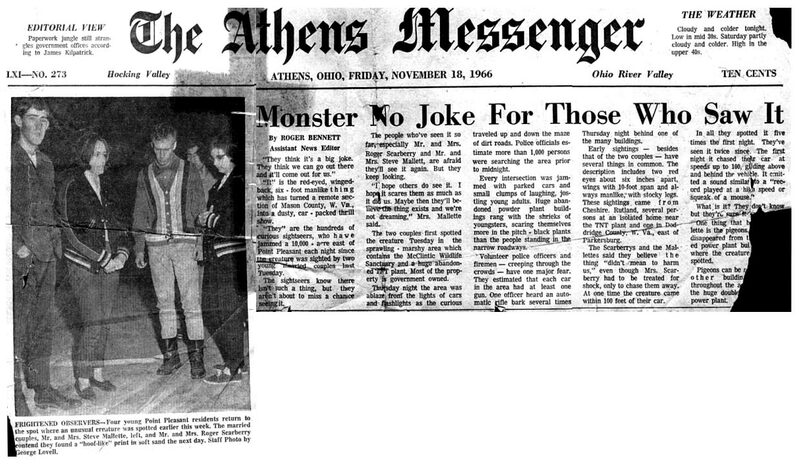 It is little known that John Keel was almost single handedly at the origin of all that MIB folklore, being the only journalist willing to investigate. 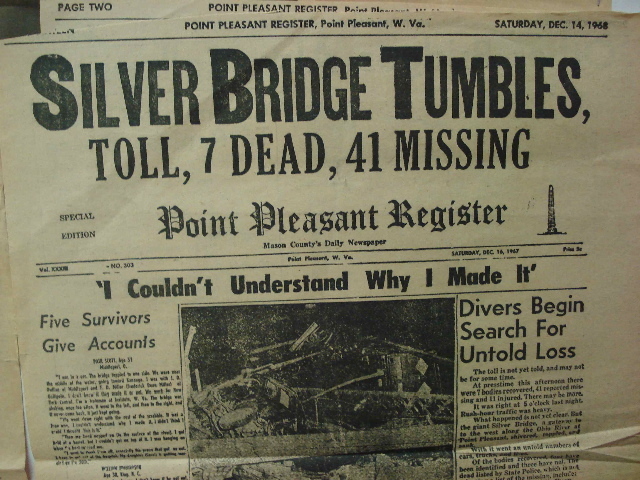 The whole situation climaxed on December 15th of the following year, when the huge bridge collapsed into the Ohio River leaving 46 people dead. 2 bodies were never found. 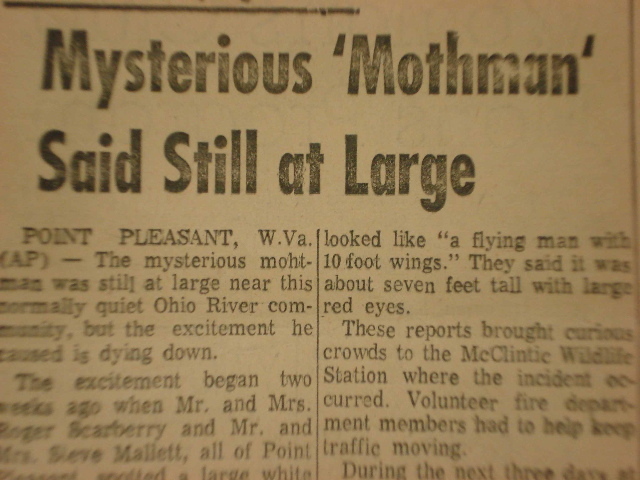 The book: The Mothman Prophecies by John A.Keel. A French translation is now available under the title: La Prophétie des Ombres. I mention it as the translation is quite good and the edition has a bibliography which is usually missing from the English versions. 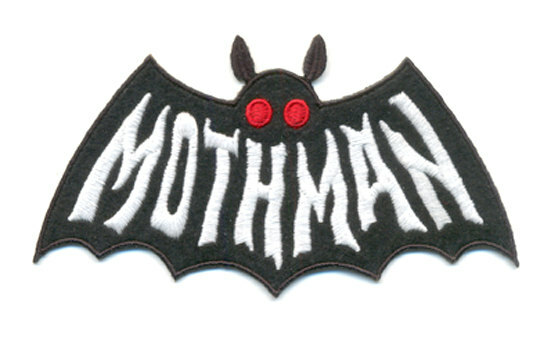 Point Pleasant now has an annual festival celebrating the Mothman. There’s no shortage of videos on the topic on Youtube. I recommend this one. Oh my, that seems so scary! I don't really believe in monsters, but I'd be scared if I had witnessed something like that. A yes, read that one, really good! I used to devour thrillers and horror stories, but mainly books, the horror movies never interested me so much. Now it's mainly science fiction and fantasy, fitting nicely with your Captain Cosmos profile.. Yes, great book! And really scary! Heyme I'm a fan of Clive Barker books, I'm sure you like him too! Never read the book, I had no idea (or I forgot) it was based on real events, did love the movie (usually I read the book and then watch the movie). 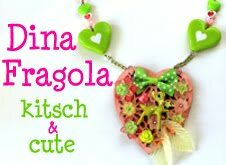 Weird stuff! Interesting post. Not sure that i watched the moview - will give a try! 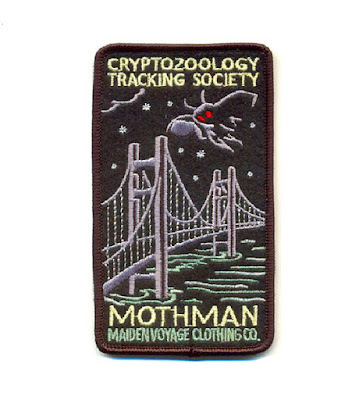 At some point I did teach to young kids (to earn some money during my studies) and for one kid, I found that talking about cryptozoologie would do the trick. And there are plenty of odd animals that have been seen but only in some small spots. So happy I learnt something new...thank you so much for sharing!! What an interesting story! thanks for sharing! I think I've seen the movie because it sounds so familiar! Thanks for reminding me Nathalie! The Captain Cosmos packaging is in!